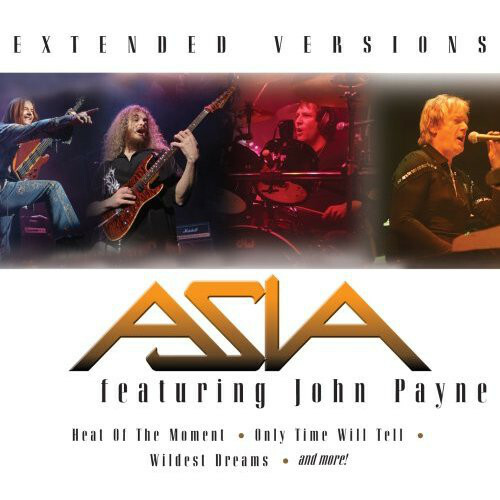 Among the finite number of prog fans who are Asia fans there is a subset that enjoys the lineup with singer/bassist John Payne (i.e., the non-original Asia that’s been on tour recently). This disc captures that group, which also includes original member Geoff Downes on keyboards, drummer Jay Schellen and guitar player Guthrie Govan, during their European tour supporting Silent Nation. The odd thing about the disk is that seven of the ten songs are from the first album which tells me that Payne, who is managing this release now that Downes has thrown his lot in with Howe, Wetton and Palmer, knows that crowds came to see the older material. No doubt he’d rather feature more songs from his tenure with Asia, but as the man said, give the people what they want. As for the songs, there’s no need to detail the relative merits of “Wildest Dreams,” “Sole Survivor,” and “Heat of the Moment.” You either like this stuff or you don’t. Of the newer songs all I can say is that, while Payne’s vocals are more naturally suited to them, there’s a reason people prefer the older songs. Govan’s guitar work – like Howe on the old Asia songs – is the best thing about the album, though his playing is limited by the rote rock/metal styling he conforms to that never touches Steve Howe’s gift for the unexpected and eclectic, despite his best efforts on songs like “Cutting It Fine.” Recommended for a select few.